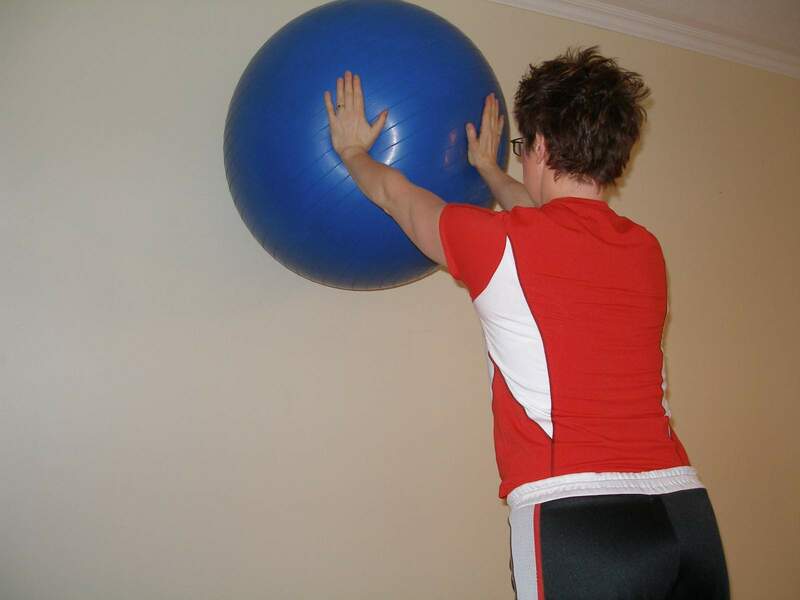 Stand holding the ball against the wall overhead as in the picture below. Do not allow your shoulder blades to get pushed out, shrug, or wing. Hold your stance once into the leaning position and activate transversus abdominus to prevent your pelvis from sagging. If you experience any shoulder pain performing this exercise, stop. Consult a physical therapist, as this exercise may not be for you.